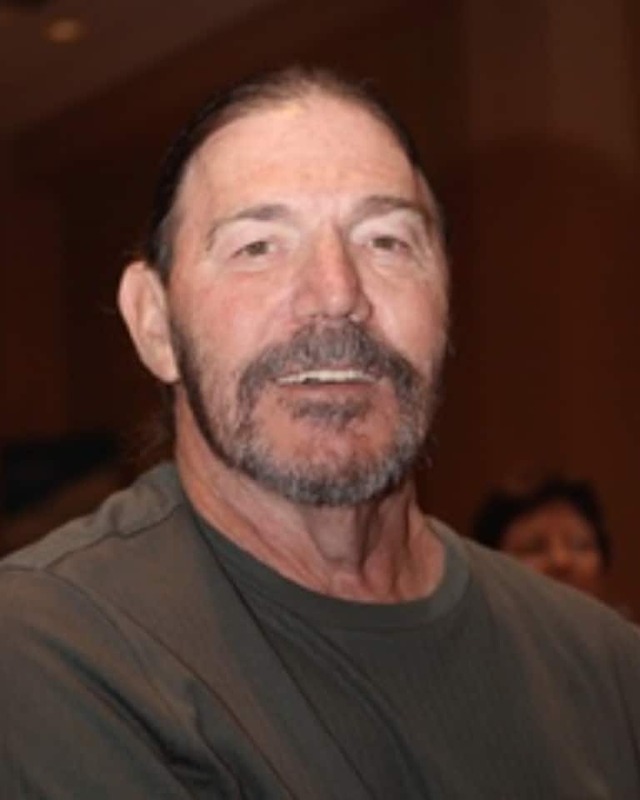 Robert “Bob” Daniel Thornsberry, 68, of Land O Lakes, Florida passed away on August 23, 2018, at the St. Joseph North Hospital. He was born in Amburgy, Kentucky. Bob served his country in the United States Air Force, retiring after 23 years as a Master Sergeant. During his time in the service, he was stationed in Michigan, the Azores, Texas, Oklahoma, Indiana, Germany, and Maryland. He worked most of his career as a paralegal. While in Germany, the family traveled a lot within the country, and went as a family to Switzerland and Austria. He loved his wife very much, and cared for her the best that he could. He and Cindy were married for 43 years. They actually had two anniversaries, one for civil wedding and one for Catholic Church wedding. Bob and Cindy always tried to celebrate each one in some way. Bob was very athletic. In high school, he participated on the basketball, baseball, football, and track and field teams. He loved to work out at the gym. He was in a bodybuilding competition at the age of 40, and placed third in his first and only contest. He continued to work out even after health problems sidelined him for most of the later part of his life. He enjoyed fishing when he was younger, especially with his father Agie and his mother Maggie. He was involved with the Catholic Church, earlier in life he played guitar and sang in some masses, was a lector, Eucharistic minister, and CCD teacher. Bob was very proud of his two sons, and also loved his daughter in law Mari, accepting her into the family very quickly. He was a big part of his sons’ lives while growing up and after, volunteering as a Cub Scout den leader, he learned the game of soccer in order to be his son Chris’ soccer coach, and and helped his sons Chris and Curtis practice for the sport they both loved: basketball. Bob liked rock and roll. When he did his bodybuilding contest, he performed to one of his favorite songs, “Born to be Wild” by Steppenwolf. He also liked Creedence Clearwater Revival, Led Zeppelin, AC/DC, Queen, Aerosmith, Metallica, and the Doors. He went to a lot of shows with Cindy. Surprisingly he also liked Barbara Streisand and Elton John. Bob was a tattoo enthusiast and got a lot of his tattoos after retiring from the Air Force. He had both arms almost covered with tattoos. Bob dealt with many hardships (lung transplant, heart problems) in his life; but, always tried to deal with them in a positive way with a smile and a joke. Always the jokester, he brought life into everywhere he went. At his family reunions and other family gatherings, they would spend hours sitting around the fire talking, joking, and singing with his brothers and sisters and parents. They sang southern gospel songs and country songs, including “Amazing Grace” and “Will the Circle be Unbroken”. He was a good artist, who liked to draw until health issues kept him from doing it. There are many pieces of his around the house. He especially liked to draw birds: eagles, owls, and cranes. He even drew comic book characters for his son Chris. Others asked him to draw and paint things for them for their own homes. Bob Bob was very handy around the house and loved to work in the garage or outside, whether it was yard work, fixing something around the house, or working on the car or motorcycle. 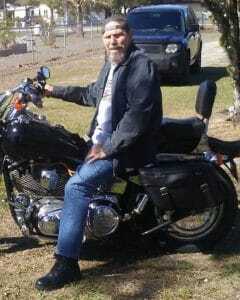 Bob loved Harley-Davidson motorcycles, and he had two bikes at one point. If he wasn’t riding, he loved working on the motorcycles. In 2015, Bob and Cindy traveled down to Sao Paulo Brazil to visit Chris and his wife Mari. They had a great time eating good food and meeting their family and friends, and even went to Rio de Janeiro to see the sights, visiting the Pao de Açucar mountain, the famous Christ statue, and went to Ipanema beach. He laughed like crazy when Cindy, wearing jeans, tennis shoes and a normal shirt (they forgot beach clothes) went to touch the water and fell down, soaking herself. He was always trying to help people and was very kind and generous to everyone he met. He helped his father, Agie, receive the benefits he deserved from the VA. He also helped his nephew, Robert and his wife Rita, to receive their benefits once they retired from the Air Force. He even helped people he barely knew around the neighborhood where he lived in Land O Lakes. He always had advice for others dealing with Alpha 1 and lung transplant recipients. Bob was a loving husband, father and friend. He was always more occupied with the well-being of others before himself. He loved all of his family dearly: parents, brothers and sister, and nieces and nephews. He encouraged his family when we doubted ourselves, and taught his sons proper values and was a living example of them. In the end, we are all grateful for the years we had with him; they were years of a lot of love, care, learning, companionship, loyalty, and happiness. A Memorial Mass will be held at 9:00AM on Saturday, September 1, 2018, at St. Timothy Catholic Church located at 17512 Lakeshore Road, Lutz, Florida 33558. He will be interred at Florida National Cemetery with Military Honors. Joyce and I just learned of Bob’s passing today. I’m really sorry to hear about your loss. He really was a good man. Will say a prayer for you and your family and a special prayer for Bob. Cindy, although I had just met you and Bob for a short time, I was so appreciative of the kindness Bob showed to me when answering questions about transplant. He had such a positive attitude about life. He gave me the gift of hope that I will always be grateful to him for. I’m so very sorry for your loss and feel very lucky to have crossed paths with Bob. My condolences to the entire family.